In this Thursday’s Tip of the Day we will be looking at how we can narrow our focus. I must admit that I often spread myself thin because I delve into too many things. Many have pointed out that being a jack of all trades is akin to being a master of none. When I was a teenager I worked at a retail store. I was well liked because I worked hard and did whatever was necessary to complete the job. After a while, they started training me for other jobs so I could cover if people were on vacation. I worked almost every single job on that store, but when I wanted to apply for an open position that would lock me into one spot, my boss didn’t want to let me go. Without saying the words, he essentially told me I had become the ultimate jack of all trades. Basically, I was good at everything, great at nothing. That’s the thing, becoming an expert requires an immense amount of focus and time. Recent studies have revealed that mastery of any one thing requires at least 10,000 hours! Today, we want to give you a few tips that will help you stay on target. One of the fastest ways to get back on track is simply refusing to add more to your plate. Too often we view our lives as a cheap buffet, trying to cram extra stuff into areas that don’t have enough room to begin with. A good rule of thumb is to say at least two no’s for every yes. Keep in mind that it is about quality, not quantity. By the way, you’re not the only person who can accomplish the task, so don’t act or feel as if you are. Most people wander through life because they’ve never taken real steps to set up a target. If your aiming for nothing, you’ll hit it every time! However, if you want your life to make a significant impact on others, you need to know what you’re shooting for. There’s not a person on earth who would not benefit from doing some housecleaning in there life. All of us have areas that we need to declutter. Start by asking yourself if the things you’re doing are directly helping you accomplish your purpose. If they are not, start moving them down the list, or off it all together. Take some time today to do a little evaluation. 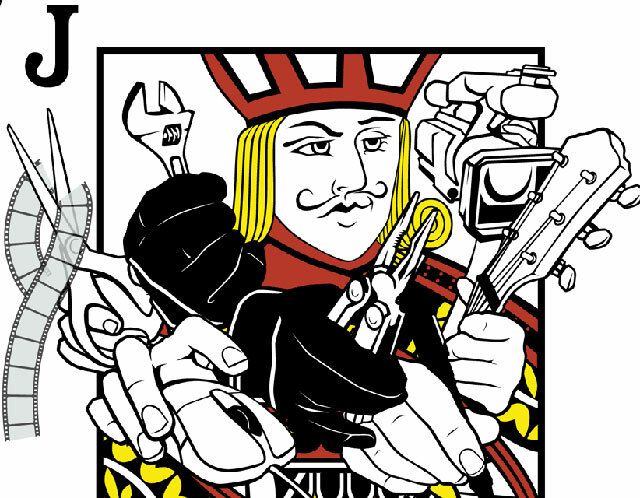 Sincerely ask yourself and others if you have become a jack of all trades. If so, narrow your focus and start a new path today! To get more great tips and games, subscribe to our blog and follow us on Twitter @stumingames!